Blame it on the bluetooth? 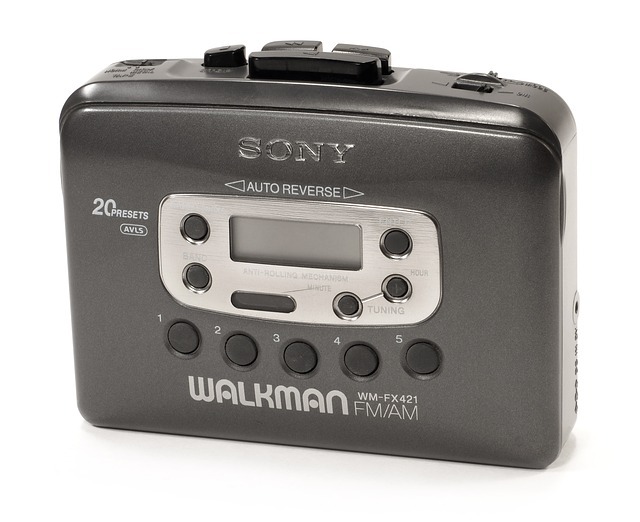 Do you remember the Sony Walkman? When my sister was a teen she had one and I loved to listen to her cassettes. Sony Walkman - kids today will have no idea what this is! Roll forward to 2004, and I was so proud of my blue iPod mini with its white headphones. I loved it so much that I had my name engraved on the back. Sheepishly, I admit I have no idea what became of it. In 2006, Beats by Dr. Dre (Beats) was founded by Dr. Dre and Jimmy Iovine showcasing wireless headphones as part of their line and boasting sound of the highest quality. Commuters prided themselves in showing their shiny headphones off. Actually, the first commercially available Bluetooth headset appeared in 2000. Bluetooth was developed by Ericsson in 1994 in Sweden and is 'a low-power wireless connectivity technology used to stream audio, transfer data and broadcast information between devices'. There is a great infographic on the Ericsson website. We have a small portable bluetooth speaker. It is great to listen to when we get home from work. We connect it to Apple music on our phones via Bluetooth. The sound is fantastic for the size of the speaker. But in the past few weeks on our usually quiet commute by train to the city, headphones have been amiss. What's happened to the headphones? They've been replaced by portable speakers, and not in a good way. One morning at 7:30am a man dressed for work in a high vis jacket boarded the train with his speaker on full volume. The conductor asked him to turn it down and he got really angry saying he'd paid for his ticket. A barrage of expletives followed. The conductor pointed out that so had everyone else and he alighted at the next station in a rage. Then on the Friday evening on our way home, a very drunk man in his late 40s boarded with his speaker on full volume. He turned it down when the conductor asked him to, but when his favourite Reggae track came on he couldn't help himself, and upped the volume. We were sitting next to two children, both under 12, who started singing along also at high volume. Had we boarded the party train? Where was our invite? In New Zealand there are noise control laws which define 'excessive noise' as noise under human control that unreasonably interferes with the 'peace, comfort and convenience' of other people. Noise control officers can issue an Excessive Noise Direction (END) if they deem the noise to be unacceptable. This works well when you have noisy neighbours. Not sure what the future holds for sodcasters but here's hoping that the next big trend in music requires headphones!! Sodcasters.. those silly sods! I wonder if they were all on iPhones & just can't afford those ridiculously expensive AirPods, Powerbeats... it's certainly turned me off upgrading for a while!